A decade ago, having a mobile-friendly website was considered a luxury for eCommerce sites. As more consumers bought smartphones and demanded a mobile shopping experience, it gradually became more important. Now, we’re seeing the transition from mobile-friendly to mobile-first as eCommerce sites prioritize smartphones and tablets over laptops and desktops. These paradigm shifts always start with the user. Businesses just try to respond appropriately to browsing and searching trends. You may have heard by now that the majority of emails are opened on mobile devices, along with 60% of searches. Consumers use their phones when they’re on the train, waiting for a friend to return from the bathroom at a restaurant, and in the waiting room at the doctor’s office. And they’re not just sending SMS messages, either. They’re opening emails, browsing sites, and checking social media. To accommodate this wave of mobile users, Google rolled out “Mobilegeddon” a few years ago. 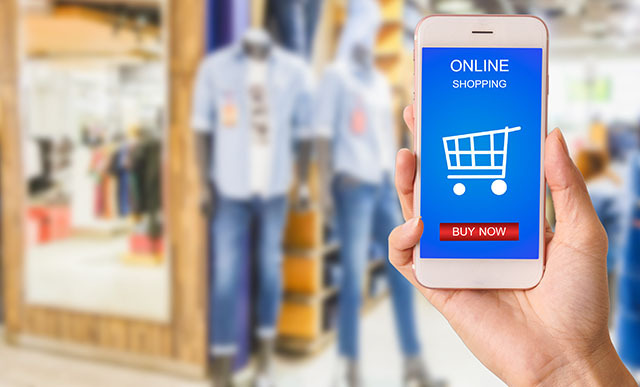 By making mobile-friendliness an SEO factor, eCommerce sites were more or less forced to provide a mobile shopping experience. Now, Google is introducing a new mobile-first index. It may not have quite the same SEO impact as Mobilegeddon, but it represents a major shift in the search engine’s method. Mobile sites will now be the primary page to index, with desktop versions being secondary. The important thing is that your mobile site hits all of the major SEO criteria — content, links, title tags, meta descriptions, etc. That’s what you’ll be graded on moving forward. But don’t just focus on mobile because of what Google says. Instead, listen and observe what your prospective customers want. You’ll find that Google’s move is backed by demand. Progressive web apps have home screen icons and can even work offline. At the same time, they don’t need to be downloaded or installed. They offer a smooth mobile experience that requires minimal sacrifice (memory, data, etc.) from users. eCommerce sites, in particular, can leverage PWAs for a convenient mobile shopping UX. In fact, Magento announced that they would be creating a Magento PWA Studio in support of the change they think PWAs will have on the future of eCommerce. Read more about the impact PWAs could have on the future of eCommerce for Magento merchants here. The incoming wave of PWAs is really just a continuation of the mobile experience as we know it, however. To understand where the mobile UI is headed, we need to broaden our horizons. Consider how far voice technology has come since Amazon released the Echo smart speaker in 2014. Marketers should already prepare for UIs that rely primarily on voice commands. eCommerce marketers should also keep an eye on AR and VR for a more visual or immersive UX. Mobile-first isn’t just a trend. It represents what users need and where mobile UX is headed. To talk more about getting a mobile-first eCommerce strategy, contact us today.